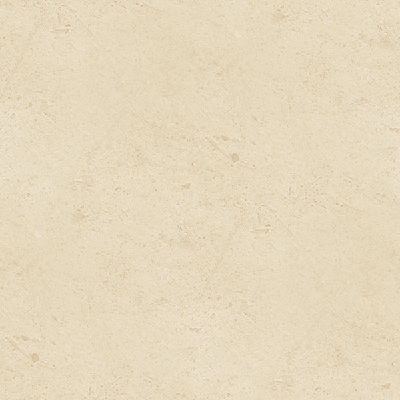 The 2015 Critics Challenge International Wine Competition will take place May 23 and 24. The Results of the 2013 Critics Challenge International Wine Competition can be found at CriticsChallenge.com. The 2014 Critics Challenge is scheduled for June 21 and 22, 2014. 2011 Critics Challenge International Wine Competition Critics Challenge International Wine Competition will celebrate its eighth anniversary over the Memorial Day weekend. 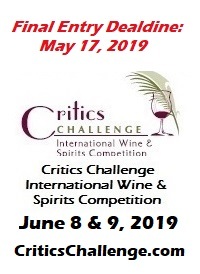 Critics Challenge brings together renowned and respected wine journalists to evaluate wine entries from around the globe. Awards are posted along with excerpts from the judges' tasting notes. These accolades and descriptors may be used in promotional materials associated with Critics Challenge awards. No other wine competition provides this sort of added-value marketing ammunition for its winners. What also separates the Critics Challenge from other wine competitions is the diversity of palates represented by the judges, all of whom are world travelers who understand the importance of origin on the taste of wine. They are better prepared than most to pick up on subtle nuances related to place, information that levels the playing field and gives wines with diverse backgrounds an equal shot at the prize. Chief Judge Mary Ewing-Mulligan, Master of Wine, plays a vital role in the judges' room by providing regional context for each wine as it is being evaluated in the 'blind' tasting format. The judges names and bios can be found on the official competition website, www.CriticsChallenge.com, along with entry form, dates and instructions. Silver, Gold, Platinum and Best of Show awards will be posted on the website following the competition. 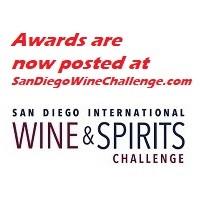 Critics Challenge Wine Competition Results are now posted. Congratulations to all the award winners. So it was somewhat of a surprise that the 2000 Perrier-Jouet Fleur de Champagne ($139) was nudged in a close vote. What was stunning about the outcome was the fact that a Petite Sirah -- the 2006 Clayhouse Petite Sirah -- prevailed. This $25 red from Paso Robles won a number of converts in the process, inspiring one judge to comment: "I wouldn't buy Petite Sirah on a bet, but I loved that wine."